This Sunday, December 9, 2018, the Eddie Bravo Invitational invades the Onnit Gym in Austin, Texas for EBI 18 featuring a 16-woman strawweight tournament starting at 8 p.m. ET and 5 p.m. PT. As usual, a potential $20,000 is on the line for the winner if they secure submissions in regulation in all four of their matches on the way to the belt. The event will also feature two female superfight matches. One will be a 145 pound purple belt female special match between Priscilla Herrera of 10th Planet Austin and Gabrielle Villafuerte of Team Delima. The other will be a 135 pound brown/black belt female special match between Kayla Patterson of Atos Jiu Jitsu and Andrezza Facanha, who is a second degree black belt training out of American Top Team. Both Patterson and Herrera have appeared in EBI in the past, so they will each have the experience over their opponents headed into their special matches. This tournament is stacked with talented black belts as well as young up and comers. Quite a few of the competitors from EBI 12 at 125 pounds are back for the 115 pound strawweight tournament this weekend. Find out more about the competitors below and check out the EBI 18 countdown video to hear more from them. With all of these amazing competitors, this is an event you definitely will not want to miss, so make sure to tune in this Sunday on UFC Fight Pass. A brown belt under Eddie Bravo himself training out of 10th Planet HQ and 10th Planet Pasadena, Lila Smadja-Cruz has been the top 10th Planet representative in both of the previous two female EBI events, EBI 12 and EBI 16. This will now be the third and lightest weight class she has competed at in EBI events and you can expect an exciting performance from her as always. Her speed and versatility are some of her top advantages in this competition. For example, in EBI 12 she had two of the fastest submissions in the tournament with a 23 second guillotine choke in round 1 and a 48 second heel hook in the quarter finals. 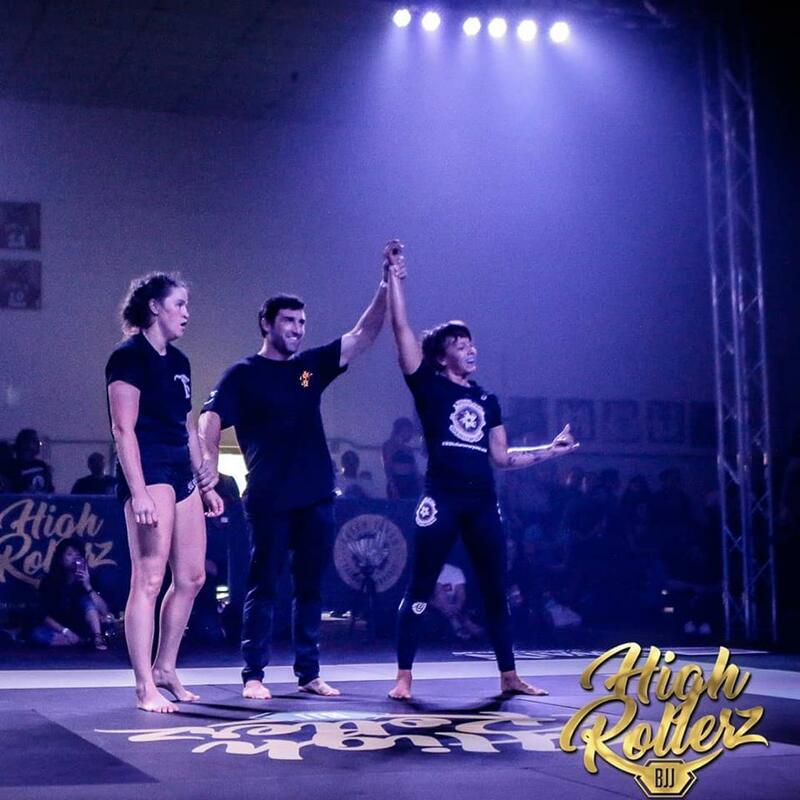 Even before Eddie began the female tournament divisions, Lila made an appearance in EBI 5 in a special match against Talita Alencar, taking the match by escape time in overtime. She has shown a lot of heart in her performances and has been training for this type of tournament specifically now for quite some time. Lila by far has the most experience on the EBI stage and has the ability to earn her spot as an EBI champion this weekend. 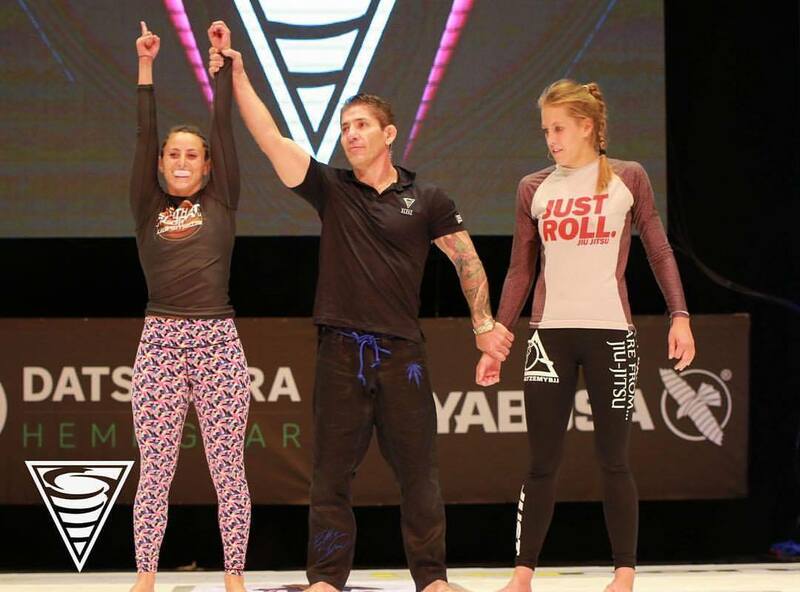 A purple belt training out of 10th Planet Boulder, Fabiana Jorge is the second 10th Planet representative in the tournament this weekend after winning the 10th Planet Qualifier. Even more impressively, she won all of her matches with submissions in regulation and had no need for overtime. You can watch her dominant performance in the 10PQ here. Although she has only been training for about 6 years, Fabi is an experienced competitor with 2 wins at Fight to Win Pro and a win over Renzo Gracie’s Katya Leontyeva at Global Grappling League. Jorge is easily one of the dark horses of the tournament so make sure to keep an eye on her this weekend. A black belt under Júlio César Pereira and Jair Court of GF Team after being promoted just this June, Mayssa Bastos also trains extensively at Unity Jiu Jitsu in New York as well. She got her start in martial arts by training judo as a child. 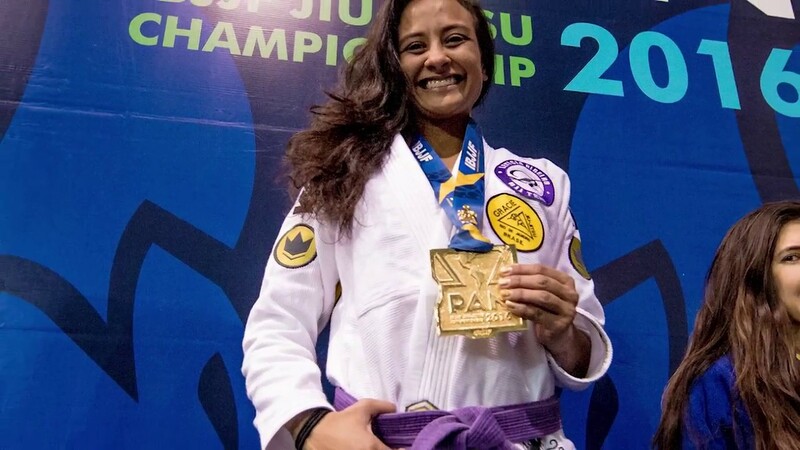 Mayssa’s skills have helped her to secure multiple championships just this year, winning the IBJJF Asian Open, IBJJF No Gi Pans, CBJJ Brasileiro No Gi, UAEJJF Grand Slam Tokyo, UAEJJF Grand Slam Rio de Janeiro, and IBJJF American Nationals. 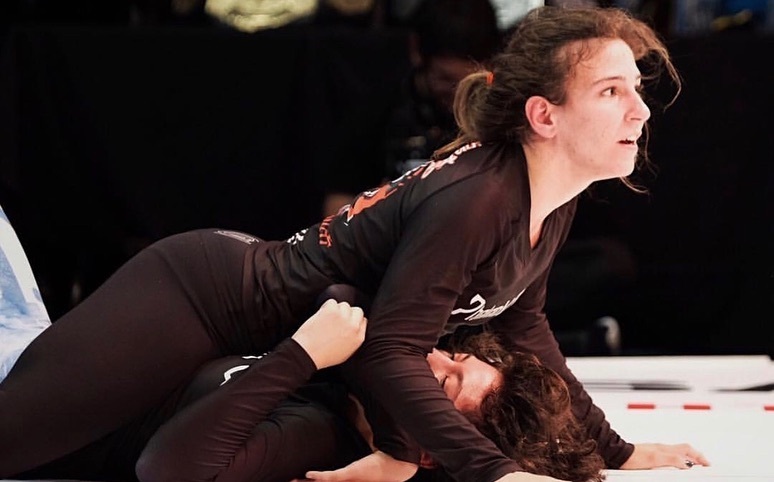 Although she has more of the traditional training background, Bastos is no stranger to competition and clearly has experience competing in no gi tournaments as well. 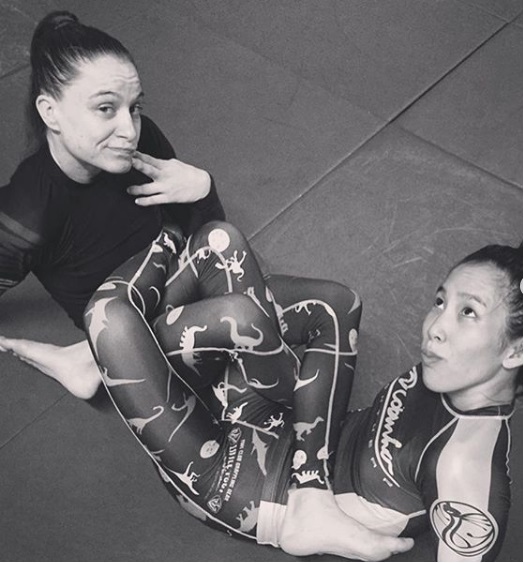 A brown belt training out of Renzo Gracie Philly, Danielle Kelly got her start in grappling with wrestling at a young age and between wrestling and jiu jitsu has been training for about 10 years now. 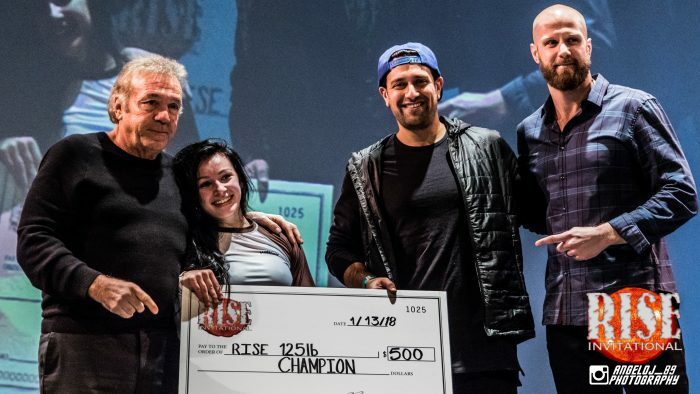 Just this year at RISE Submission Invitational 3 she won a four woman bracket to earn the 125 pound RISE title. 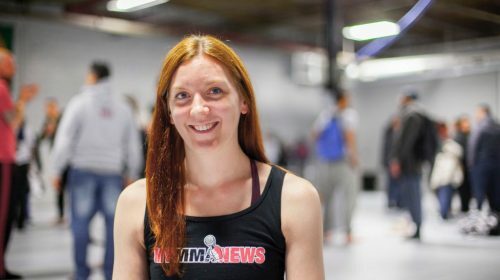 Due to her Renzo Gracie affiliation, she is teammates with EBI 12 Champion Erin Blanchfield, so she knows what it takes to win the whole tournament. Kelly is also likely to be a bit more familiar with leg locks than some of the other competitors. A black belt training out of Gracie Humaita South Bay, Rita Lynn Gribben is teammates with EBI veteran Gabi McComb and EBI 16 Champion Beatriz Mesquita. 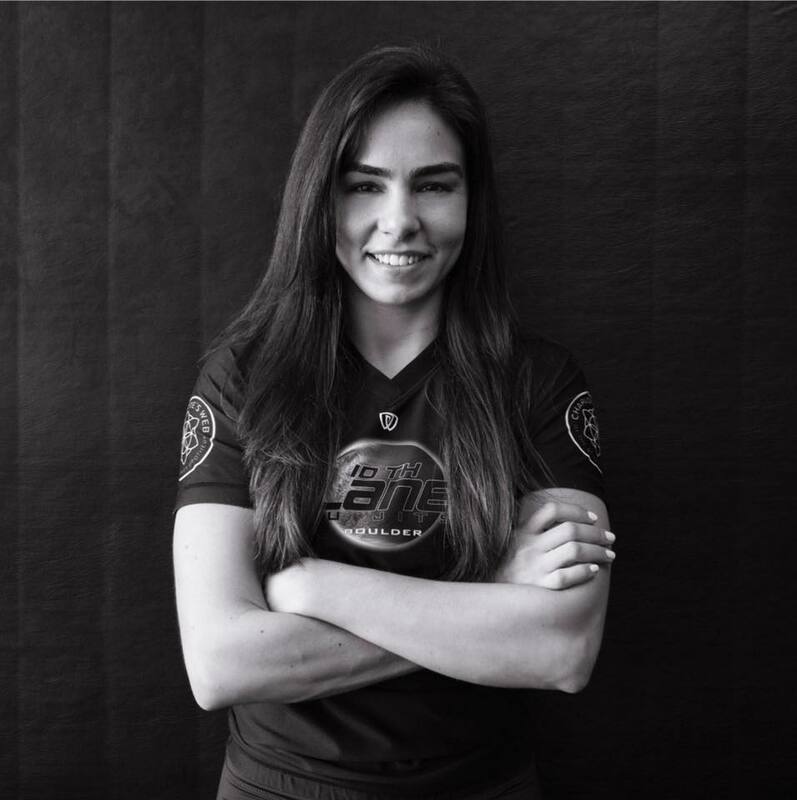 Due to helping her teammates prepare for their appearances in EBI, Rita has some experience with the EBI ruleset and has competed under EBI rules twice before, once of which was at Chael Sonnen’s Submission Underground 2. Rita has been training jiu jitsu for about 11 years and will be one of the more experienced women in the tournament this weekend. Khan is the lowest ranked competitor at blue belt, but that is largely due to her also being the youngest competitor at only 16 years old. Even still, Jessa has been training for 8 years and already has appeared in EBI twice for special matches, going 1 and 1. Recently she competed in the Asian Games for Cambodia and was able to secure a gold medal. Although she is young, you would be wrong to underestimate Khan and she could easily surprise some people with an upset. 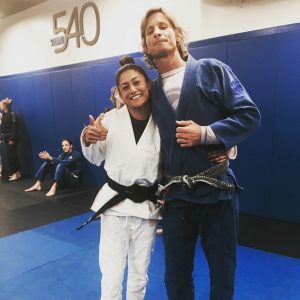 A purple belt training out of Peterson Grapplers, Megan Parducho is one of the bold competitors who quit her regular 9 to 5 job to pursue jiu jitsu. She has been involved with the Eddie Bravo Invitational from day one working behind the scenes, and continues to follow through with her usual duties for this event even though she is one of the competitors. Megan has won IBJJF No Gi Worlds twice and is very familiar with the EBI ruleset, as she has been matside for every event so far. It will be exciting to see her debut in the event she has put so much time and effort into and get an opportunity to show her skills. A black belt training out of California Mixed Martial Arts, Gabby Romero has been training for about 7 years. Romero is an mma fighter as well and has fought for promotions such as Invicta FC. 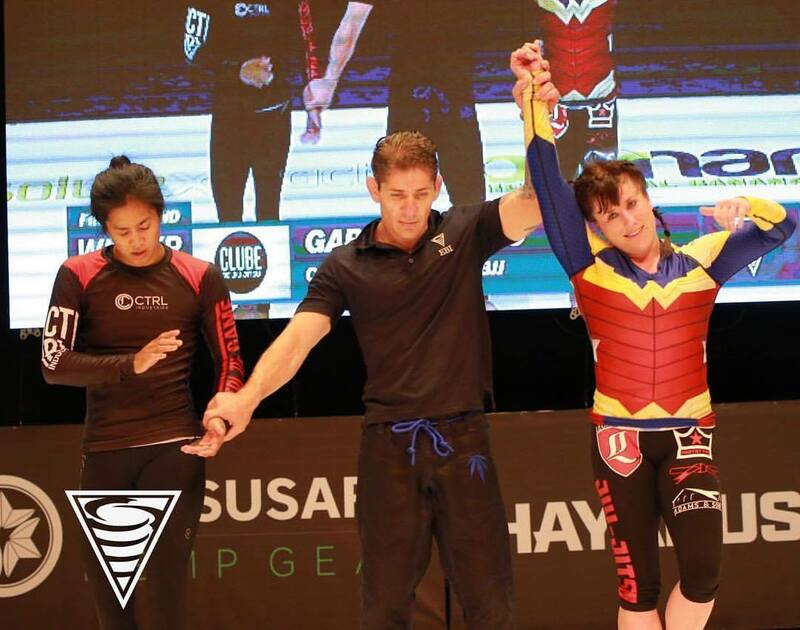 Gabby first competed in EBI in a superfight at EBI 9, losing by kneebar to Lynn Vuong. She also competed in EBI 12, winning her first match against Kristina Barlaan and losing her second match against Gabi McComb. She has a very aggressive style and it should be exciting to watch her compete at her natural weight class. A black belt training out of Notorious MMA, Fiona Watson competed in EBI 12 losing by way of an unexpected scissor choke to Nikki Sullivan in the first round. Waston is a seasoned competitor and regularly drops in to local tournaments. She has also competed at Fight to Win Pro and has medaled at events such as IBJJF No Gi Pan Ams and IBJJF No Gi Worlds. Training out of Checkmat, Pati Fontes received her black belt under Lucas Leite in May 2015. She is a 3 time IBJJF Black Belt No Gi Worlds Champion and competes regularly. She competed in EBI 12 and lost her first round match in overtime to Katherine Shen. Fontes is well known for her no gi prowess and will be looking to come back and make a statement at 115 pounds this weekend. A 2nd degree black belt training out of Fight Sports, Sofia Amarante is probably the most experienced competitor on this card. 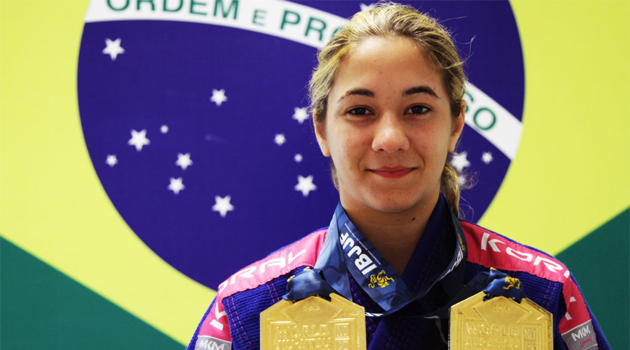 Sofia was the first American female to win the IBJJF No Gi World Championship as a Black Belt. She is a 2 time IBJJF No Gi World Champion, IBJJF No Gi Pans Black Belt Champion, and a 2 time IBJJF Master Worlds Black Belt Champion. As you may be able to guess from her rank and credentials, Sofia is also the oldest competitor on the event at 38 years old. A black belt under the prestigious Yukinori Sasa, Rikako Yuasa was promoted in June 2014 after beating Pati Fontes at IBJJF Worlds. Also known as “Lady Sasa,” Yusasa is a 4 time IBJJF Black Belt World Champion and a 2 time ADCC Asian & Oceania Champion. Her usual game is heavily reliant on the gi and lasso guard, however she talks in the countdown video about how she has been working with her coach on a technique that she can use in both gi and no gi. It should be interesting to see what she is planning on bringing to the table in this weekend’s tournament. A brown belt training out of Nor-Cal Fighting Alliance, Chelsi Garcia Aguayo started with wrestling back in her school days. 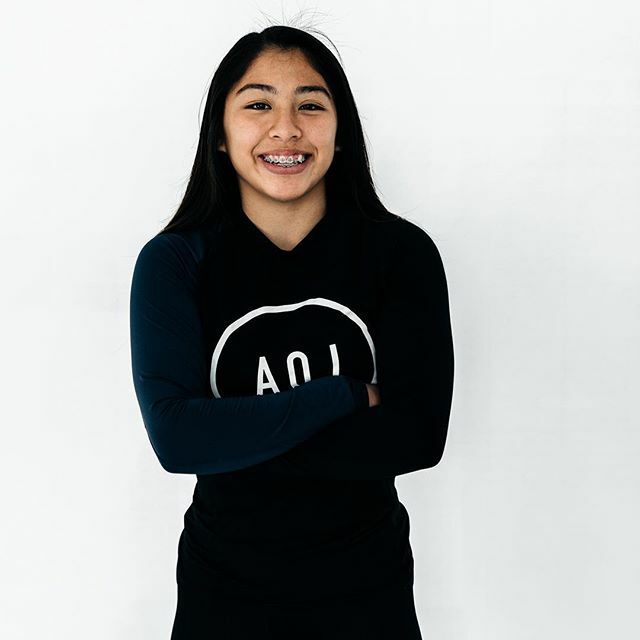 Aguayo has competed under the EBI ruleset in the past at Ultimate Mat Warriors out in San Diego, as well as in the High Rollerz 2 event in the expert women’s division, where she made it to the semi-finals. Aguayo competes pretty regularly and currently has another match scheduled for a Fight to Win Pro event in January against Tracey Goodell, who was also originally scheduled to compete in this weekend’s tournament before being forced to withdraw due to injury. She has competed for Fight to Win Pro in the past as well. A purple belt training out of Absolute MMA under EBI veterans Lachlan Giles and Craig Jones, Chisaki Akiyama is a last minute replacement for Livia Gluchowska, who announced yesterday that she would be unable to compete this weekend due to an injury sustained in training. 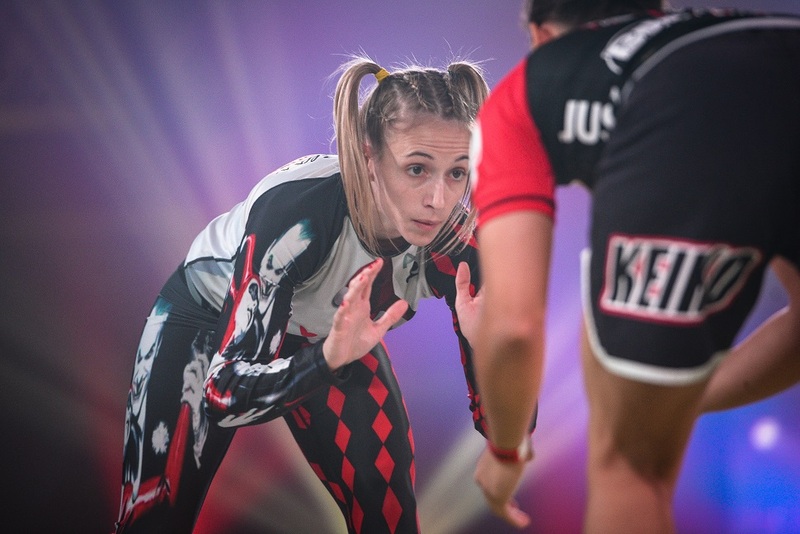 Gluchowska would have been one of the top seeds in the tournament, as she trains under two world class competitors and has competed in EBI before at EBI 12, where she lost in the first round to eventual champion Erin Blanchfield. While Chisaki is only a purple belt and is stepping in on short notice to replace her teammate, she has been training hard for IBJJF No Gi Worlds and will be looking for the upset at this weekend’s event. A black belt training out of Studio 540, Analilya Calzada is an IBJJF World Champion in both gi and no gi. While she admits herself that she doesn’t compete often unless she has a “bug” as she calls it, she is still an experienced competitor due to her years in the game and has competed on Fight to Win Pro events more than once. Calzada is surely not to be overlooked headed into this event. A brown belt training out of Roger Gracie Jiu Jitsu, Nina Navid is an IBJJF European No Gi Champion. Interestingly enough, she is also an attorney and serves as in house counsel for the United Kingdom Jiu Jitsu Federation.